We’re supposed to be relaxing by the river, sleeping late, lounging around. Only I’m wide awake. WIDE AWAKE. And it’s 2am. And my husband, sharing the teensy-tiny ancient double bed with me, is annoying the HECK out of me. Because he’s playing some dumb game on his cell phone involving lots of swiping, and every time he swipes, the bed jiggles. Which makes me mad. Which sends adrenalin and cortisol coursing through me, because when I O SO CALMLY and GENTLY and KINDLY suggest maybe he should quit or GO SOMEPLACE ELSE, he grumbles that he’s ABOUT to stop. Which I know is a lie. He loves this game. And we’re on vacation. And there is no reason for him to get up early in the morning. And so now I am even wider awake. Grrrrrrr. It is absolutely no comfort in this moment that at least he doesn’t do drugs – His dopamine center producing these jolts of joy just need some math game on his i-phone. Only probably not so cute. But yes, it is a bat. Which is not all THAT unusual occurrence at our River House, seeing as there is only a 100 year old plank with some knot holes stuffed with 50 year old paper towels between me and the great outdoors. But it’s been awhile since one has swooped through a bedroom in the middle of the night. Of all the nights. What do I do? 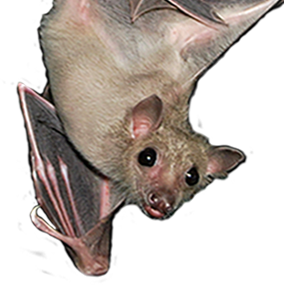 Well, I have heard Ira Glass on This American Life talk about how bats can bite you, and you don’t even know it, and they ALL carry rabies. And I heard on another podcast on RadioLab about the first person ever to survive rabies was a young girl bitten by a bat. Rabies, in case you are wondering, starts at the site of the wound, and climbs slowly up the nerves to the BRAIN where it wrecks absolute havoc. It’s true: You want to bite. You froth at the mouth. You don’t want water. And, up until this one girl, you die. Every single time. ← Are you getting what you need from your vacation?